Opened in 2018 by Queen Elizabeth II, the Ashworth Centre is named after Mercy Ashworth who was one of the first women to be called to the bar at Lincoln’s Inn in 1923. 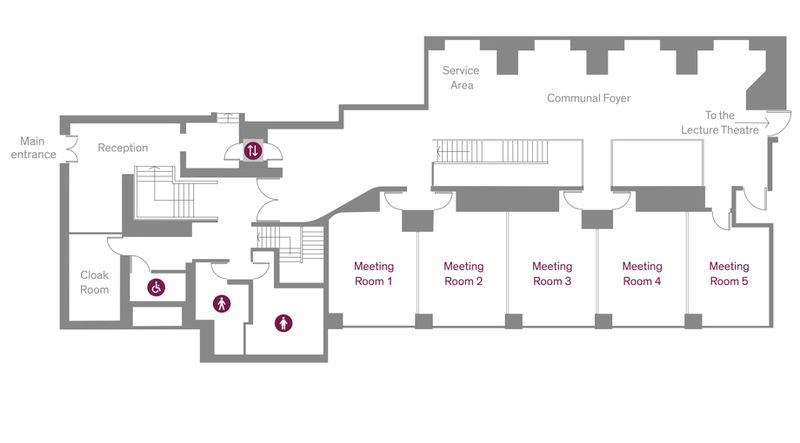 Set beneath the Great Hall, a suite of ten meeting rooms split between two floors have been expertly designed to allow natural daylight to flood each room through generous skylights. 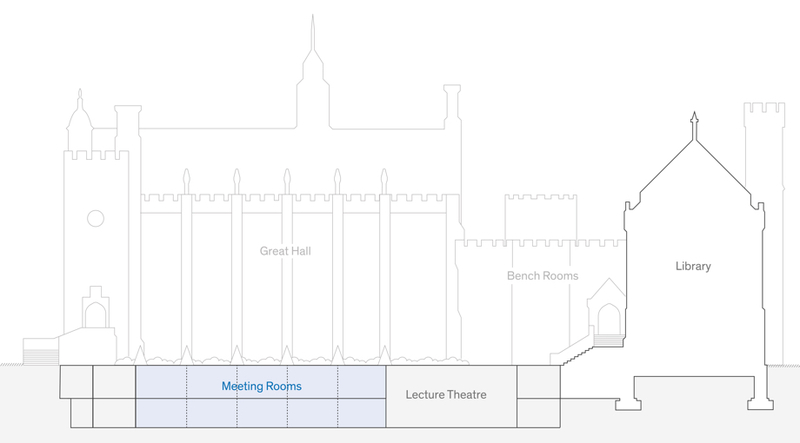 Individually the rooms are ideal for small boardroom meetings of up to sixteen delegates, or the partition walls offer the flexibility to open the rooms up for larger board meetings of 40 guests or theatre style seminars for up to 80 guests. The glass ceiling in the adjoining communal foyer provides impressive views of the Great Hall turrets above. 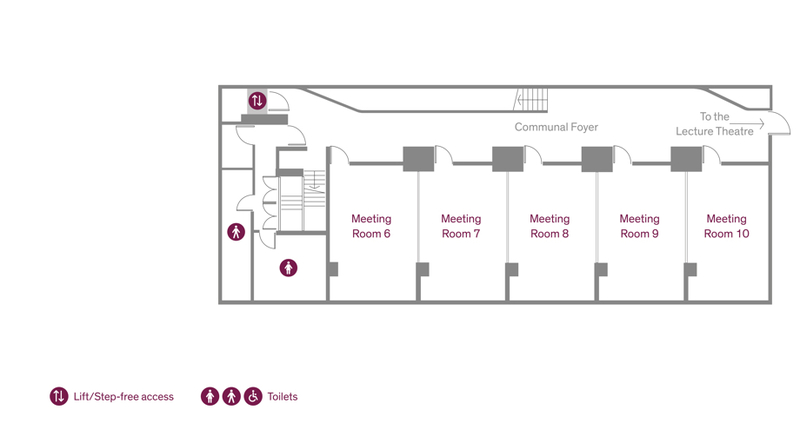 These Meeting Rooms can also be hired in conjunction with our Lecture Theatre. Your event in this space Whether it's a reception or a conference, our Meeting Rooms are a perfect space to host your event.